A cracked or damaged pipe, water leak, or any other plumbing system malfunction can be extremely costly if not taken care of in a timely manner. A cracked or damaged pipe, water leak, or any other plumbing system malfunction can be extremely costly if not taken care of in a timely manner. As soon as you notice any type of damage or system failure, call in the experts at Master Plumbing right away! 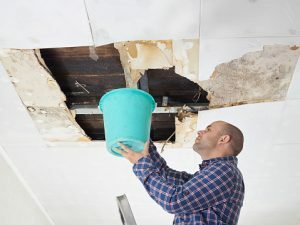 Even small amounts of water can cause lots of damage to your home. In fact, studies show that the majority of water-related insurance claims were related to drain malfunction or pipe failure. Here are some ways you can mitigate some of these risks. Keep the thermostat at a minimum of 60 degrees Fahrenheit in the winter, and drip faucets on unusually cold days. Make sure pipes are properly insulated. Call Master Plumbing as soon as you notice anything out of the ordinary. Plant trees far away from underground plumbing lines. NEVER pour grease down your drains. It solidifies inside the pipes and builds up to create blockages. Contact Master Plumbing to install a backflow prevention mechanism. This entry was posted on Friday, June 1st, 2018 at 8:15 pm. Both comments and pings are currently closed.